When you hear about someone receiving hospice care, what do you picture? Hospice care is not a place you go, or a particular medical provider whom you visit. Hospice care is a philosophy that applies to those who suffer from terminal illnesses, or those for whom there is no cure. The number one goal of Hospice care is to surround the patient, and address their pain and suffering. Their symptoms, which can cause considerable physical pain and discomfort, should remain the focus of care. Their fears, which contribute to emotional pain, should also receive attention. Hospice care ensures that those who are severely ill and dying can receive a wide range of supportive services in their own homes. 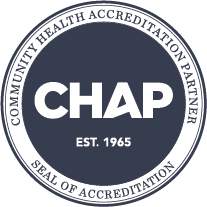 Doctors, nurses, spiritual care providers, home health aides, and social workers join with loved ones to help provide specialized care. We want each day to be as good as possible, with pain well managed so that spiritual and emotional needs can be addressed. Additional services such as bathing and dressing are provided, easing the burden felt by families while helping the ill and elderly to feel more comfortable. 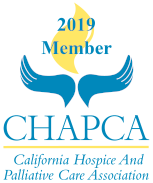 As a trusted member of the community, Hospice of the Valleys has been providing hospice care to the Inland Valley and Fallbrook for over 34 years. Please call us for senior community resources, or for information about hospice care. We’re here to help. 951-200-7800.